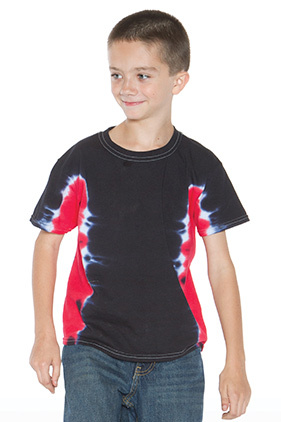 Pre-shrunk 100% cotton 5.3 ounce tie-dyed tee. T-Bone tie-dyes put a twist on team tees. Outfit the entire squad in school or team colors. Great for any school, club, group or organization.